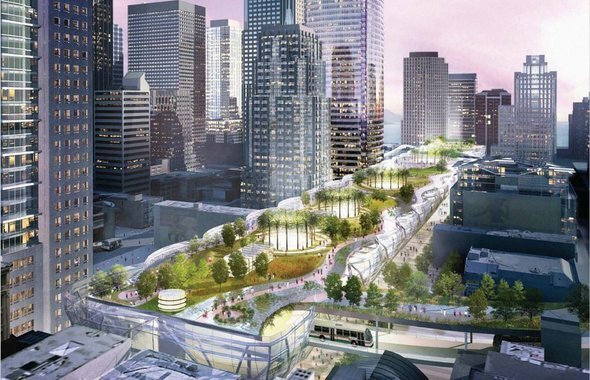 The San Francisco Transbay Center redevelopment project realizes the world’s largest rooftop park in the center of one of the world’s most exciting cities. The concept, developed by Except together with Pelli Clarke Pelli Architects, restructures the existing transport hub in the city center. 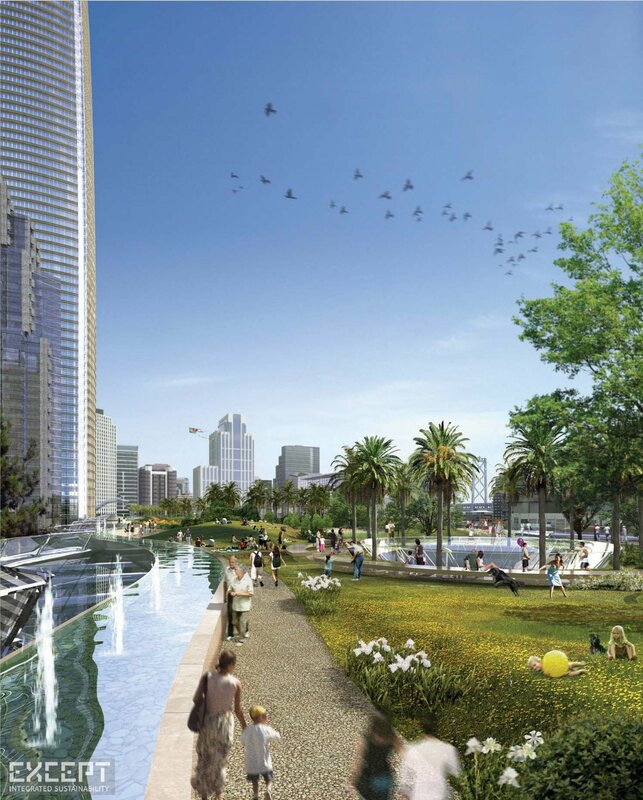 It features innovations such as water purification, air filtration, ecosystem services, improved biodiversity, and adds an exhilarating new green space in the center of the city. 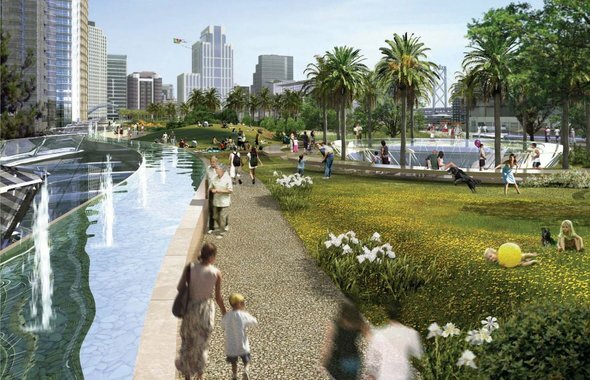 Biodiversity, health, and sustainability are key in this example of progressive urban renewal. The project was started in 2006, we won the competition in 2007, construction started in 2010. It was renamed the 'Salesforce Park' in 2017, and set to be completed in 2018. You can follow the construction progress here. 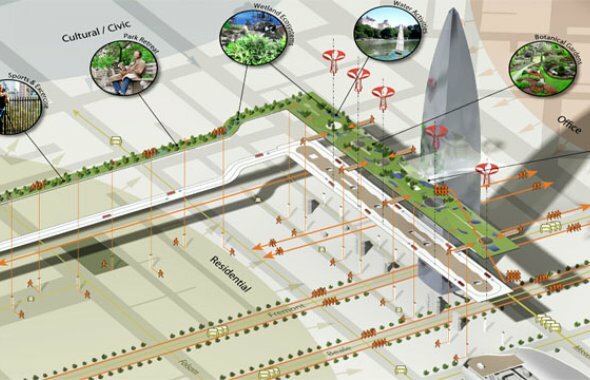 The Transbay terminal redevelopment was one of the largest architectural competitions to be held in the past decade. 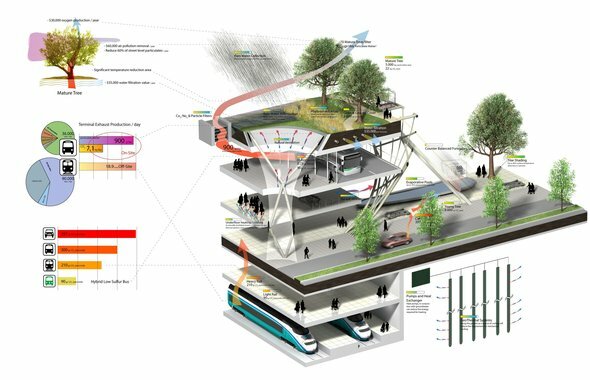 We worked with architecture office Pelli Clarke Pelli on conceptual design, presentation and visualization, made the case for a true ecological rooftop park, and won in 2007. Finally, the world will be able to see that a rooftop park can be more than potted plants and a lonely olive tree, and become a true ecological entity, providing spatial quality, health benefits, economic value and biodiversity. On September 20th 2007, the TJPA competition panel announced that we had won the competition in favor of Skidmore Owens & Merril and Richard Rogers. The project is currently being executed and will be finished in 2017. The construction status with cameras can be found on the Transbay website. 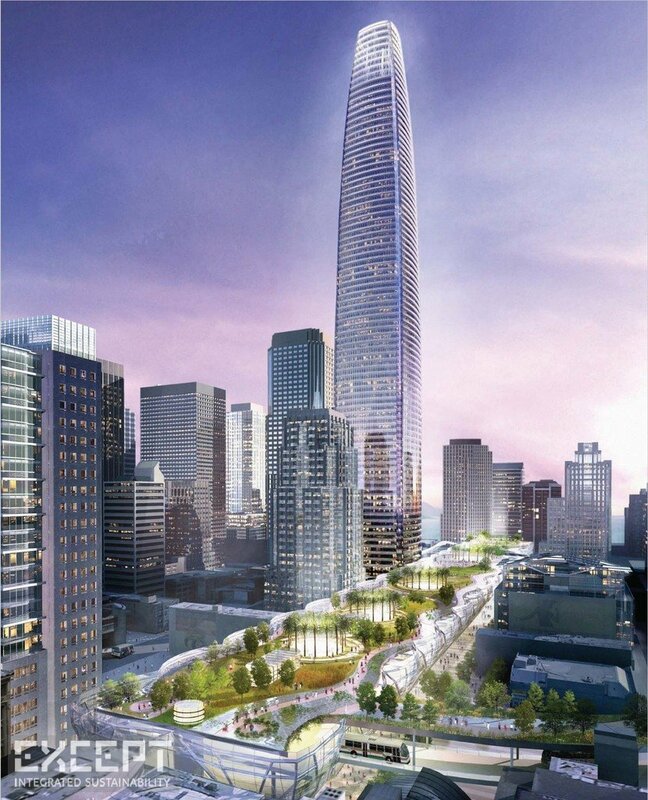 The transbay competition revolved around the replacement of the existing Transbay transportation hub, and the creation of a signature tower for the city of San Francisco. The environmental concerns were considerable, the development time short, and the stakes high. Pelli Clarke Pelli hired Except to jointly develop the conceptual design and the environmental concept. Together with our environmental engineering partner Atelier Ten the Transbay design culminated in a globally unique proposition. 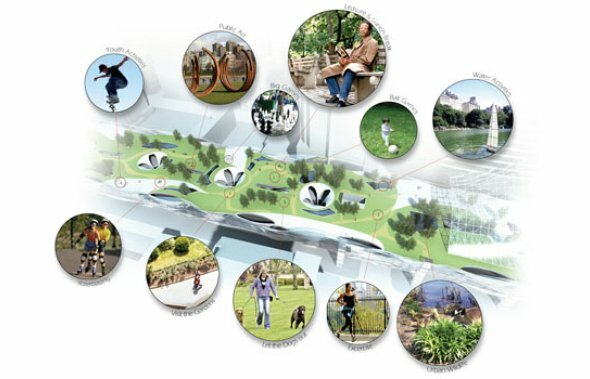 Among the areas of involvement of Except were the main concept development, roof park, ecological system, water features, funiculars, main square, bridge connections and landscape design. In 2017 the project was renamed the 'Salesforce Park', to be next to the 'Salesforce Tower' in a long term sponsorship agreement with the Salesforce company.